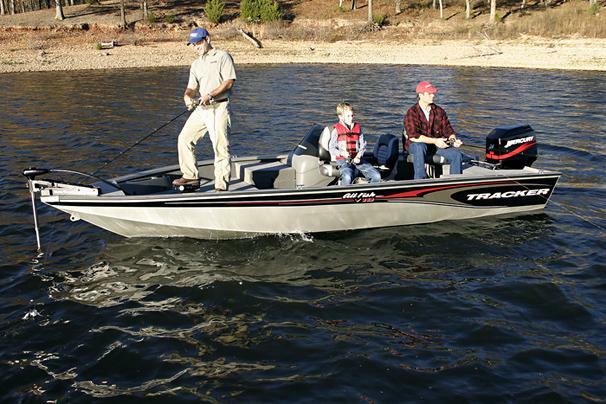 Boat Description With lower fishing positions than a typical bass boat, the Tournament V-18 All Fish is set up to catch just about any species, anywhere in North Americawalleye, bass, muskie, crappie, catfish or any other. The Deep V hull delivers a smooth, dry, responsive ride on all types of water. And its wide 87` beam and 69` bottom provide extra fishing stability and spacious fishing platforms. Package includes a Mercury Pro Series outboard, Lowrance X47 fish finder, MotorGuide foot-controlled trolling motor, bow and aft livewells with baitwell inserts, onboard battery charger plus custom trailer with EZ lube hubs, GalvaShield protection and swing-away tongue.